UPDATE: 8/30/15: I wish I could say things have gotten better here. Yes, we stayed for another year even though they raised the rent more than $100. Promises of substantial improvements have not been kept. 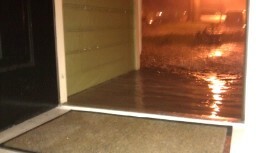 The 6-12 inches of flooding that blocks the front door and creates a lake to the next door neighbor's front door remains during any moderate to heavy rain. The gutters that create a shower that blocks the path out of the apartment and are one of the primary causes of the flooding have not been repaired. 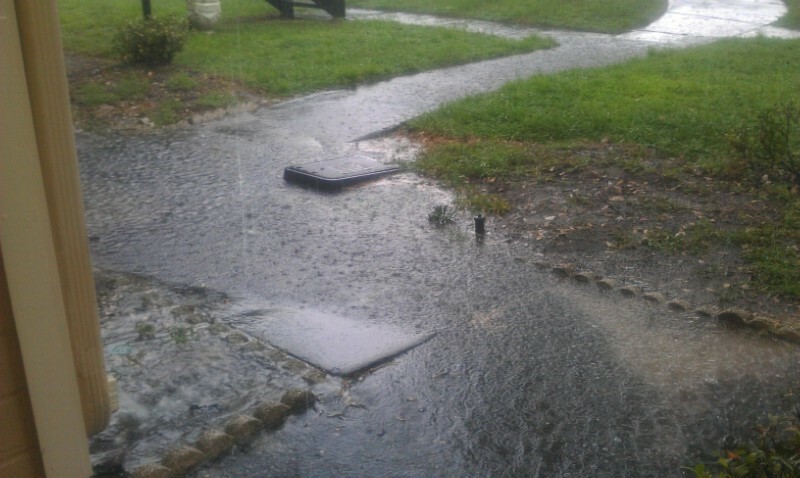 The flooding gets bad enough to dislodge the bricks that fall over into the sand where a lawn should be. I've uploaded photos. The cracked concrete was partially repaired, but there is still a trip hazard just three feet from the front door and a mold/algea filled dip that fills with a few inches of water on the only way to the parking lot. The promised landscaping has not happened. Misty no longer responds to my emails. All in all the broken promises are very disappointing. We will look around during the next six months for alternative communities. At this point I will not recommend this place.